My calendar tells me it’s spring. The scarf around my neck and central heating suggests it will be a little longer until the garden is in full bloom and prettied by the visits of sweet little butterflies and dragonflies. 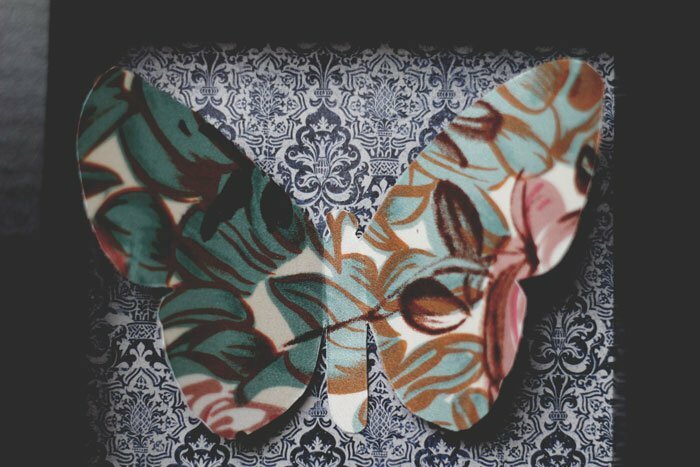 Until then, I think I’ll need to make do with these butterflies inside the house. 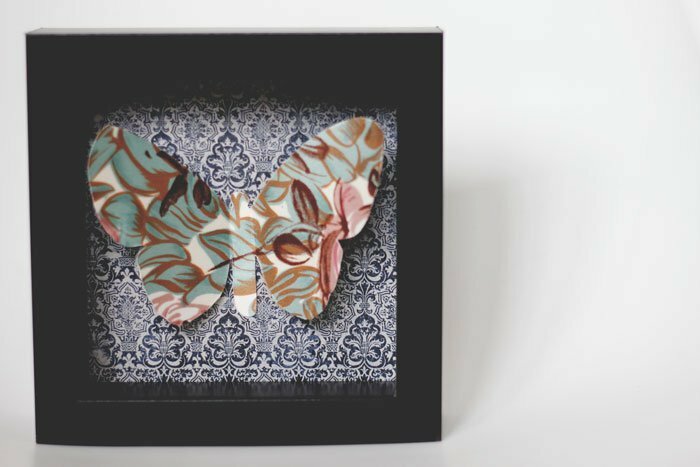 These framed butterflies are a DIY 3D artwork that’s not only easy to make, but would also be terrific for a child or adult room or to give as a gift. These were initally intended as gifts but I never could quite bring myself to wrap them up because I enjoyed looking at them. 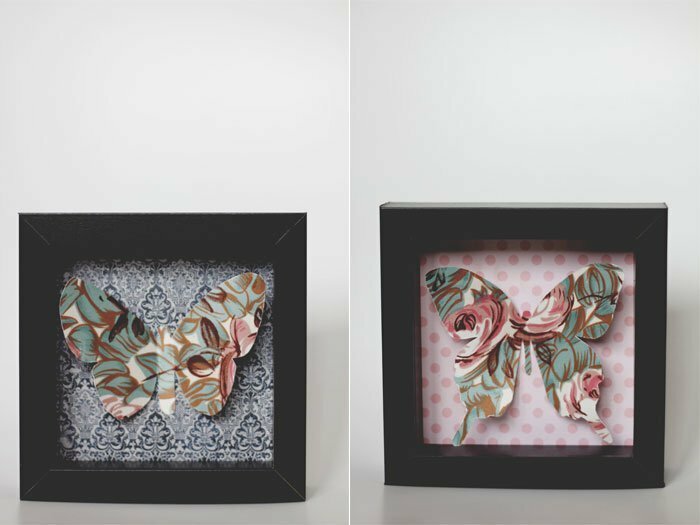 If you fancy making your own, the simple steps to create a beautiful butterfly gallery are below. Take the back off your photo frame and trace around the back insert on your coloured/patterned card. Cut it out and glue the card to the front of the frame insert to create a coloured background in your frame. Glue your scrap fabric on to the plain card and allow to dry. Turn over the fabric/board and on the back, trace around your butterfly template then cut it out. 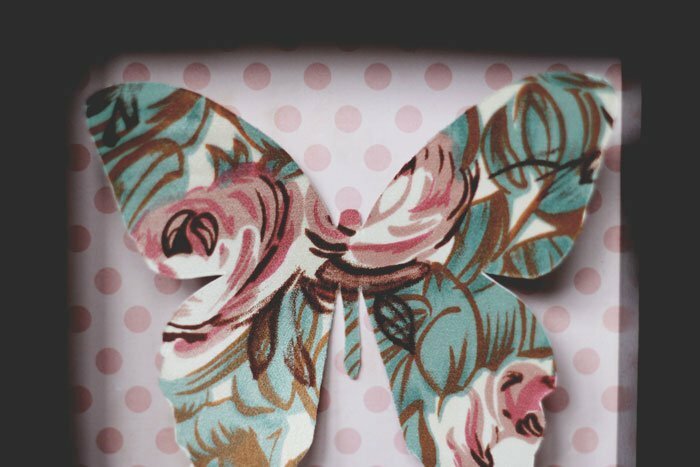 Apply glue to the body only of your butterfly and stick it on to the coloured/patterned paper. 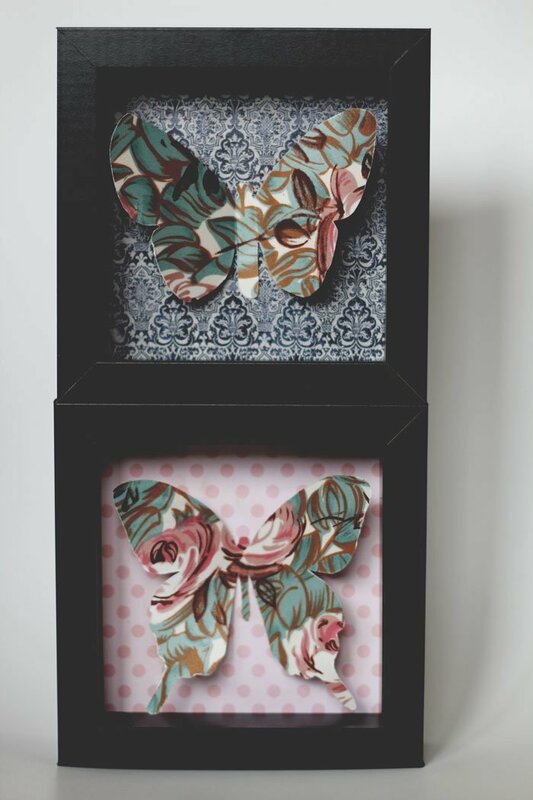 Run the bone folder down the butterfly where the wings meet the glued down body and fold them upwards to create the 3D effect when it’s framed. Insert the frame backing into the frame and enjoy gazing at your pretty winged art!